Are Chia Seeds Worth All The Hype? Chia seeds are hailed by the internet as an important part of a healthy diet, but are they really worth all the hype? 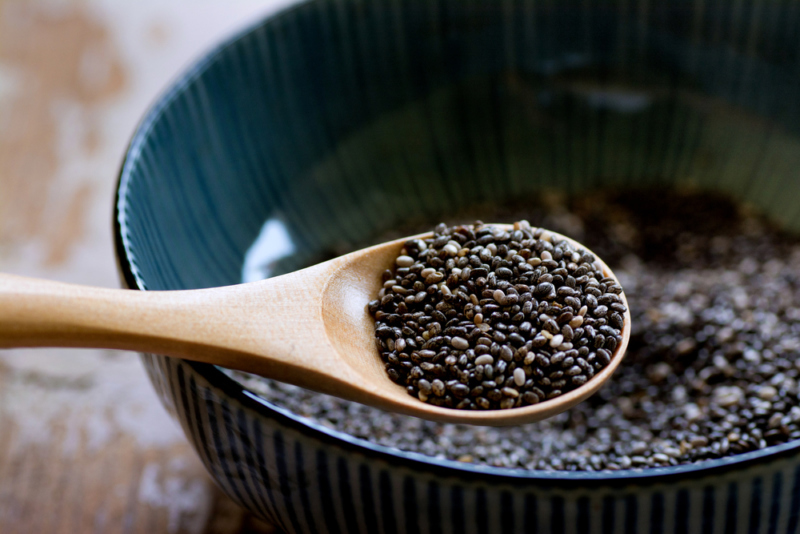 We bring you all the information you need to decide if chia seeds are right for you. Chia seeds come from the desert plant Salvia hispanica. This edible seed that is grown in Mexico is used as an energy booster. Chia seeds contain healthy omega-3 fatty acids, protein, antioxidants, carbohydrates and fiber. In addition, chia seeds have a mild, nutty flavor, which makes them an easy addition to beverages and food. Research has shown that the seeds expand in the stomach, thereby, assisting you to feel full. As a result, you eat less as you do not crave food, which leads to weight loss. Chia seeds contain high fiber. A significant increase in a fiber diet may result in weight loss. By consuming a high intake of a fiber diet that consists of a lot of fruit and vegetables, it can reduce the inflammation and pressure in the colon. Gestation can cause a strain on a pregnant woman’s body, depleting it of its nutrients. Chia seeds are so easy to add to a diet and provide so many important vitamins and minerals. If you’re looking for more nutrition tips, take a look at Mommy Authority. This website is a fantastic resource which offers well-researched health advice for moms everywhere. The Omega-3 fatty acids found in chia seeds, help to increase HDL cholesterol, which is considered the good cholesterol as it protects you from heart attacks and strokes. Health experts conducted research that proved Omega-3 can decrease the risk of thrombosis and arrhythmias. As Chia seeds contain high-fiber, when you consume it, you lower the risk of developing diabetes. By consuming meals that contain high-fiber, you are ensuring that your blood sugar remains stable. Studies have shown that a high intake of fiber reduces the risk of type 2 diabetes and coronary heart disease. Having sufficient levels of fiber in your body prevents constipation and promotes a healthy digestive tract. Individuals need a regular bowel movement to excrete toxins daily. A high fiber intake lowers blood pressure and cholesterol levels. Chia seeds contain a tremendous amount of calcium and magnesium, as well as manganese, which helps to make enzymes. How Should You Consume Chia Seeds? Because chia seeds have a neutral taste, they can be added to almost anything. The way most people eat them is by soaking the seeds in water and leaving it in the fridge overnight. Throughout the night, the seeds will absorb the liquid to form a gel. If you wish to add some flavor to the seeds, you can do so by soaking it in juice. The alternative is to add cinnamon or honey. Thickening agent for stews – Soaked chia seeds are excellent as a thickening agent for soups or stews. Replacement for flour – Use ground chia seeds as a replacement for flour when baking cakes or bread. Added crunch – When chia seeds are toasted, it adds a wonderful crunch to breakfast cereals, yogurts and salads. Egg substitute – After mixing chia seeds with water, you may substitute this with an egg for a vegan diet. One 1 ounce serving of chia seeds contains 5.6 grams of protein.